Coinbase is one of the first places that made it easy to buy bitcoin and has since become a widely trusted exchange in the market. At some point, Coinbase has to shut the door for new registrations at one point towards the end of 2017 due to a huge influx that was threatening its systems. So yes, this exchange is huge! According to their stats, Coinbase has more than 20 million users and it’s traded more than 150 billion dollars. In my opinion, Coinbase is above all a simple and transparent exchange where to buy or sell cryptocurrencies (Bitcoin, Ethereum and Litecoin). But it is also a secure wallet that you can easily access from your browser or downloading their app to your mobile phone. It is necessary that you identify yourself to be able to buy and sell Bitcoins, but not to receive them in your wallet. To identify yourself and provide greater security to your account, it is necessary to upload a photo of your ID, Passport or Driver’s License. You can get a copy with your webcam, although it is best to scan or upload a photo of your document by using your mobile. Bank transfer: when you link your bank account, you will be able to withdraw funds when you sell your coins or send money to Coinbase if you want to make new purchases. To view the purchase limits for your account, go to the verify section. Daily and monthly limits may be increased with time or your level of identification (Tier). 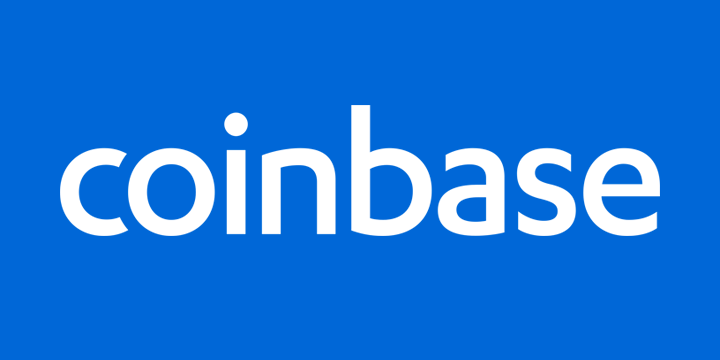 To remove the money to your bank account what you should have already done is to link it to Coinbase using the tab “Payment Methods”. Once you have it linked and withdraw money (USD, EUR, GBP, etc.) in cash in your portfolio, you only have to proceed to withdraw the funds to your account. In addition to an exchange, you have between your hands a wallet from Ethereum, Bitcoin and Litecoin. That means that from these 3 wallets there will be no problem to transfer these cryptocurrencies to the address of a wallet of your choice. I, for example, use to save the bitcoins in my Electrum wallet. At the top you will be able to see the price in real time of the currencies they have listed, in addition to the BTC, ETH and LTC charts, that show you data on the quote history. At the bottom, you can see the balance of your portfolios and the latest transactions that have occurred. And remember that you can also create a safety deposit box or wallet in which you will have control over your private keys. Coinbase has a strong track record when it comes to the security of customers’ deposits. In its over 6 years in existence, Coinbase’s virtual fortress seems impenetrable earning the trust of the now more than 13 million customers. The heavy investment into its security comes as little surprise. After all billions have so far been transacted on the platform. It’s true some customers have lost coins but more or less by having their security credentials open to attacks. In any case, 98% of customers’ digital currencies are in cold storage, beyond the reach of cyber attacks. The rest in online storage are insured against hacks, employee theft or fraudulent transfer according to Coinbase. Among other security features, the Coinbase platform has two-factor authentication that is now a must for any serious exchange. 2FA, as it is known, adds an extra layer of security by requiring the user to enter a code usually sent via SMS on top of the password. This makes it harder for attackers who might have sophisticated tools to access personal data like identity and passwords to gain access. 2FA dramatically lowers the odds for successful attacks through identity theft and email phishing. Much as Coinbase is a secure platform, customers’ accounts continue to get burglarized. It is important to keep your login credentials safe and secure. Unlike traditional currency, digital currency transactions are instant and irreversible. The moment you lose them, you lose them forever. Because they are by and large untraceable, bitcoin and other cryptocurrencies have become a target of choice for cybercriminals. The fact that they are largely unregulated makes them even more attractive. Securing your devices should, therefore, be one of your top priorities. Guard it like your own bank. The account is linked to your mobile phone and email. You can configure the 2 factors of authentication (2FA) to sign-in to your account or make transfers (Authy App, Google Authenticator). The sessions are kept in a log, so you can see if someone connected to your account. You can set up your account to receive an e-mail before any movement. Coinbase has anti-hacking insurance or for any type of coin theft they may suffer. Reassuringly, the platform is staying a step ahead when it comes to securing accounts. It has even deployed machine learning algorithms to detect suspicious activity. Indeed, Coinbase’s security may exceed that of a typical bank. It is worth remembering that Coinbase stores your actual private keys for your bitcoins on your behalf and instead gives you a password. Although the objective is to make the process of storing bitcoins easier, it is also an added risk. In the arrangement, the security of your bitcoins very much depends on how well you secure your password. On top of the high-tech security, US wallets are insured for up to $250,000 giving that much-needed peace of mind to users. The insurance does not, however, cover unauthorised access to your accounts. With this app, you can safely have your Coinbase wallet in your mobile. You will be able to send or request bitcoins, buy and sell bitcoins, access your wallets, the safety deposit box and view the details of your transactions. Use: it’s like having a wallet from Bitcoin, Ethereum, and Liteco, all in one. Security: You can set a password to protect access to the app and lock it if you lose your mobile or it gets stolen. 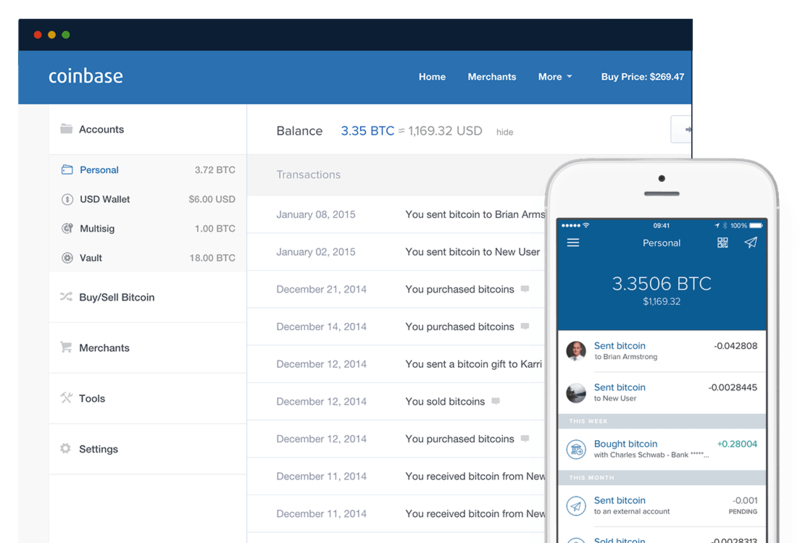 Coinbase easily impresses with its beautiful user interface. Newbies will have no problem navigating the platform with its well laid out features. If you are simply into buying and selling cryptocurrencies like most users, Coinbase is one of the top options for you. If you switch regularly between devices, you will find the Coinbase app equally functional. Most of the features in the main platform can be found in the mobile app with more or less the same interface. If you want to stay within reach of your account, you can download the Coinbase app on Google Play Store or on the App Store for iOS. Coinbase’s recurring transaction feature allows you to buy, sell or transfer bitcoins at a certain future time on a recurring basis. This new feature means you can take advantage of low prices even when you are not signed in to the platform. It is worth noting that this feature was previously available but on a weekly and monthly basis. Coinbase has a typical response time for customer queries of 48-72 hours. Obviously, it is not the best out there but it is to be expected from any entity with such a huge customer base. For new accounts, the 24/7 phone support should resolve most of the issues new customers might have. The FAQ section is one of the most comprehensive and you should probably make a stop here first. There are mainly complaints about Coinbase’s customer support on online forums. There is certainly room to improve in this area. Coinbase allows some of the highest buying and selling limits. Users who have linked their credit cards can purchase up to $1000 worth of bitcoin per week. You can transact as much as $50,000 per day but you have to be a fully verified US resident to do so. This involves having your debit and credit card as well as well as identity verified on the platform. Limits can also vary depending on the payment methods you elect to use. Limits are much lower if you are using credit cards for instance compared to ACH transfers. Wire transfers are the main payment methods on Coinbase. This is a cheaper option but it will take about five days to arrive. You can place your order once your account is funded. Credit and debit cards are much faster but they come with higher fees. PayPal is available as an option but only for sellers. Most transactions attract a 1% fee. Credit card transactions are charged at 3%-3.75%. Coinbase implements Know-Your-Customer and Anti-Money Laundering policies strictly. The exchange is better known for regulatory compliance. By and large, this is tied to the huge investment the platform has so far attracted. As such, you have to verify your account if you are to transact any meaningful amounts on the platform. For diehard bitcoiners, this is against one of the most fundamental principles upon which cryptocurrencies were founded; to confer total anonymity and become a truly decentralized currency. Some argue that exchanges like Coinbase are effectively moving towards centralizing cryptocurrencies. There are also claims about Coinbase monitoring individual transactions. Using your bitcoins for activities such as gambling may lead to the freezing of your account. 1% commission from a bank account. The commission to buy and sell, around 1.49%. Commission for shopping with credit card or debit card (Visa, MasterCard) of 3%. The purchase is immediate. With PayPal, you cannot buy, but you can sell your coins and send the funds to your account instantly (3.75%). Commission for withdrawing the money to your bank account. The commission for the transfer of withdrawal in Europe is 0.15€. By withdrawing any digital currency to another wallet that is not Coinbase a commission will be charged for the miners. If you place the email address of the person, you don’t get charged a commission. They won’t charge a commission for sending coins to another Coinbase wallet. Coinbase recommends you to declare your profit and pay the taxes that correspond to your activity with the digital currencies. To facilitate the work, they put at our disposal a report with all our purchases and sales, in addition to the benefit obtained by these transactions. You can also get help from the guide issued by the IRS. Coinbase’s strong point lies in its robust security. The high volumes being transacted means you can get the most competitive bitcoin prices here. If you must keep your bitcoins online, then Coinbase would be your best bet. The downside is the fact that you do not have control over your private keys. There is also the lack of anonymity on the platform that a good number of bitcoiners are looking for. If you’d like to learn more and compare the different platforms to trade crypto, try our exchanges page.